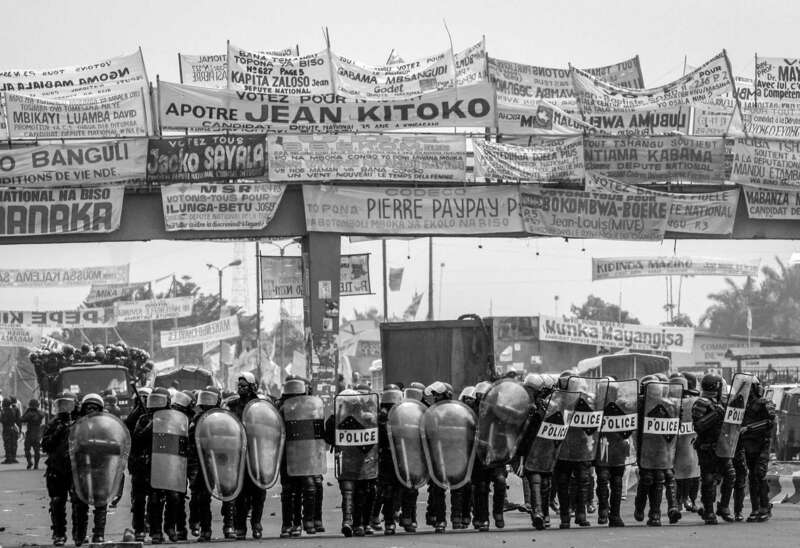 Riot police advance to UDPS protesters in Kinshasa. Above them are campaign posters. There were 32 presidential candidates and over 950 legislative candidates.